A closer look at non-binding city ballot questions shows a renewed interest in their use, but a mixed bag of results. The Chicago City Council is likely to vote Wednesday to place a third citywide advisory referendum on the ballot for Chicago voters. This will fill all three of the citywide referenda ballot spots permitted by state law. These referenda solicit input on broad questions of public policy from voters across Chicago, asking them to weigh in with a simple “yes/no” vote when they hit the polls this November. What happens after a majority says yes? City decision makers appear to take the advice they’ve ostensibly asked for…sometimes. And they ignore it other times. The outcome appears particularly iffy in the 54% of cases where city leaders didn’t have actual implementation authority. By Illinois state law, Chicago can place only three citywide advisory referenda on the ballot in any given election. Two of the available slots for November's ballot were filled at the City Council's June meeting when they approved questions on gun control and equitable education funding. The third spot has been the subject of controversy: a proposal to enact an elected airport authority. It’s backed by the Service Employees Union (SEIU) and sponsored by 27 aldermen but opposed by Mayor Rahm Emanuel, and it has been sitting in committee since its introduction in May. Three attempts to fill the third slot with other proposals – thereby blocking the airport referendum from taking the final spot – have failed to pass, with the third effort resulting in a rare tied roll call vote in the Rules Committee just last week. We’ve seen this tactic before. In three elections since 2012, an advisory referendum soliciting public input on a proposal for an elected school board has been crowded off the ballot by three other proposals more amenable to the Emanuel administration. It’s a lot of contention over initiatives that are solely advisory – there’s no force of law behind them, no matter how strongly they’re supported or rejected. Which got us thinking – if these referenda aren’t binding, why the contention over their use? Does anything meaningful ever come from them? With few exceptions, in Chicago, ballot questions presented by the City Council and through citizen-led petition drives are solely advisory. But that doesn’t mean that the votes are meaningless or without tangible outcome. BGA took a closer look at a couple of advisory referenda votes in the last ten years. "Should employers in the City of Chicago be required to provide their employees with paid leave in the event of a personal or family illness, an incident of domestic or sexual violence, or a school or building closure due to a public health emergency?" In response, the city formed a Working Families Task Force months later to "investigate issues facing working families in Chicago." The group issued a report in April of this year, recommending, among other things, a framework that allows employees to earn paid vacation time. Its executive summary cites the 2015 advisory referendum vote. In June, two months after the report’s release, the Chicago City Council unanimously approved an ordinance requiring employers to provide up to five paid sick days a year. The ordinance was guided by the task force’s recommendations, and provides that sick days may be used in the manner outlined in the 2015 advisory question. The law goes into effect in July 2017. Organizing and legislative efforts pertaining to paid time off predated the 2015 advisory question; for example, a previously proposed sick leave ordinance, endorsed by the same coalition that backed the recently adopted law, was introduced in 2014, but died at the end of the last City Council term. Nonetheless, proponents used the result of the referendum vote to further their advocacy for the most recent effort, citing strong citywide support. "Should the City of Chicago or the State of Illinois reduce the influence of special interest money in elections by financing campaigns using small contributions from individuals and a limited amount of public money?" Nearly a year later, a corresponding ordinance was introduced. The Fair Election ordinance, pushed by Common Cause Illinois and other groups and sponsored by four aldermen, outlines what such a campaign finance system might look like if implemented in Chicago. Proponents cited the strong referendum vote favoring the proposal. While it made a public splash upon its introduction in January, the ordinance has sat in committee with no action since then. In both of these cases, citywide input was solicited to demonstrate support for proposals and organizing efforts already underway. Despite similar levels of public support, they've progressed at different rates, indicating that while advisory questions can bolster a policy initiative with demonstration of public support, they are of course not determinant of the political likelihood of a given proposal. This may be particularly true for proposals that require commitments of public funding, like the Fair Election donor match proposal. A number of factors can explain the ins and outs of why certain initiatives lead to change and why others falter; there’s no checklist or formula for surefire action after the public has weighed in on an initiative. Financial and political costs, aldermanic and mayoral support or opposition, community organization, immediacy of an issue and its tangible ability to be addressed by city actors all likely factor in. What we can tell is that these votes, however superficial they may seem, can tell a fascinating story about democracy in some of its most local, immediate forms. Tomorrow, we’ll take a closer look at the role of advisory referenda at an even more granular level: hyper-local ward and precinct ballot questions. 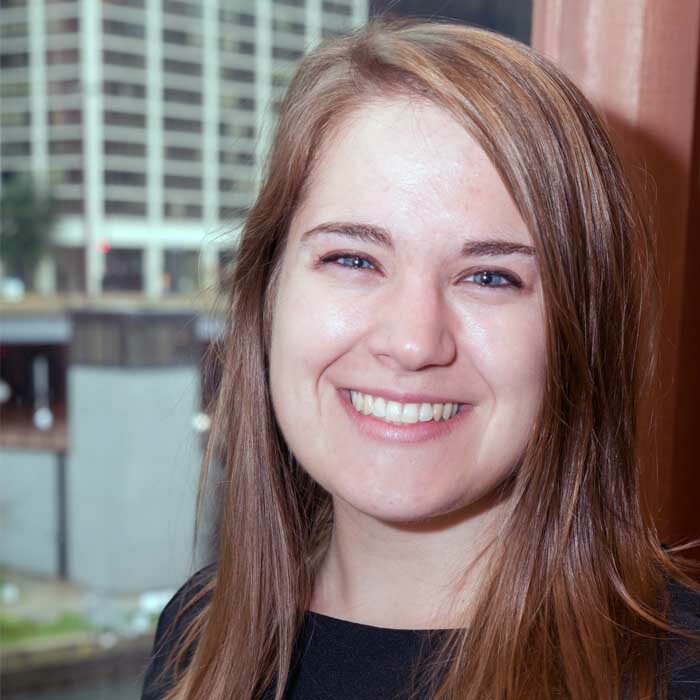 As Policy Analyst, Alexandra Gilewicz provides research, communications, and analysis of complex city and county policy issues, as well as monitoring and lobbying to promote municipal policy reforms and best practices in the areas of government ethics, efficiency, accountability and transparency. She researches and advises on BGA policy development and positions.